Peter's Movie Thoughts: Catch Up Time! I’ve been falling behind in reviews, so here is a smorgasbord of 5 quick to the point reviews to keep us all up to date!! Rating: 8.8/10 and #202 of the 1650 I’ve seen. Plot: After abandoning their success and friendship for many years, the muppets decide to finally get back together so they can put on one last show to save their theatre (classic). Background: It’s been a decade of no muppets on the big screen and only straight to TV failures (The Muppets’ Wizard of Oz). 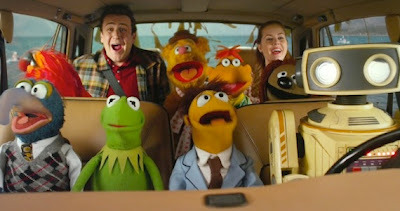 This is their attempt to make a film that is reminiscent of how awesome they used to be in their classic movies and the Muppet Show. 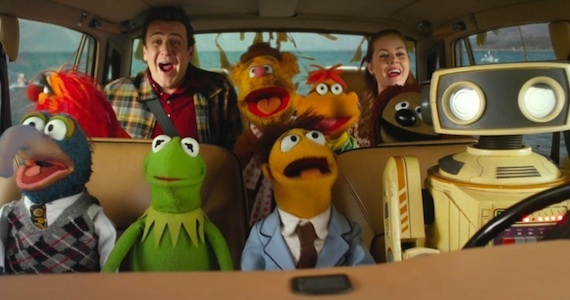 Summary: This is a great step in the right direction to bring the Muppets back. Even though it has an oddly paced second half with a lack of emotional core like the originals, this is still a funny and charming movie. It breaks the 4th wall and is self-referential so often that it aims to please the original fans rather than get new fans. Plot: An orphaned boy who lives in the Paris train station, begins to unravel a mystery his father was attempting to solve before he left. Background: This is Martin Scorsese’s first family film. It is not loaded with swears, violence or gangsters. Was based on a book. Pros: Avatar aside, this is the best 3D I have seen (technically and symbolically) - lots of beautiful shots and craftsmanship from Scorsese (especially the opening long shots) - endearing and nostalgic look at the birth of cinema. Cons: A mature film and therefore not too entertaining for young kids (but perfect for the whole family) - the plot meanders with its subplots - the payoff of the mystery is whimsical but takes too long to get there (the film feels long). Summary: A good film for the whole family to relax with, but the adults/seniors will enjoy it more. Scorsese is displaying some beautiful camerawork but it lacks in the entertainment category. 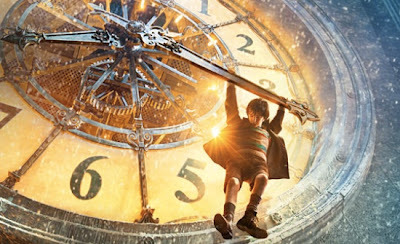 Yet if you know about the origins of cinema, there are lots of nuggets and homages to early cinema; if you understand that the poster with the clock is direct reference to a Harold Lloyd film, then it’s for you. Plot: Brad Pitt plays the manager of the Oakland A’s Baseball team. He uses a unique method to bring in new players that could help take the team out of a slump. But he is in constant struggle trying to use his method against coworkers and critics. Background: A true story written/adapted by the same genius who wrote The Social Network and A Few Good Men. 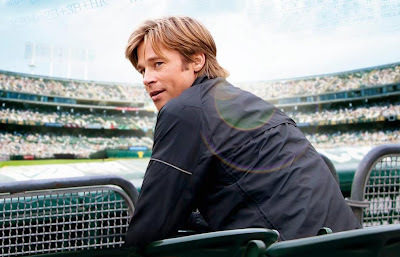 Pros: More than just a biopic/sports drama - inspirational - tight script moves it along. Cons: Although Pitt is good, he is still not worthy of an oscar like some are predicting - forced subplot with his family that does not fit in. Summary: Certainly worth your time and very inspirational. A great story about standing up for what you believe in. But the fantastic script and charismatic Pitt aren’t enough to make it something truly special or a must-see. Plot: The mortal Theseus, is chosen by Zeus to lead his fellow Greeks against King Hyperion who is out to destroy the world by unleashing the Titans. Background: By the same studio that made 300, they are attempting to make another violent hit loaded with CG and testosterone. 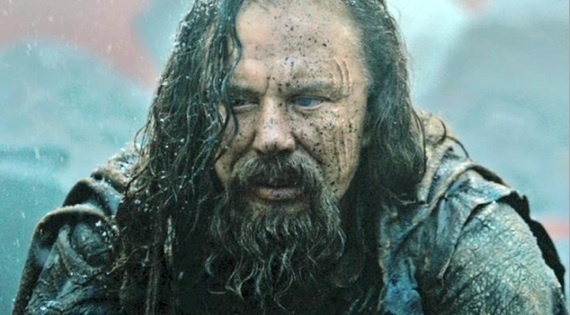 Pros: Mickey Rourke steals the show as a true villain - Cavill (Theseus) is fine but is promising for his next role as the new Superman - some absolutely fantastic action scenes (especially the final battle with the Gods) - nice costumes I guess? Cons: An example of form over function (illogical but pretty clothing, nonsensical settings but cool looking) - useless dialogue scenes that force weak themes down our throats - the end scene has no purpose or explanation. Summary: This is not an intelligent film. Neither was 300, but that movie didn’t try to be smart, Immortals is attempting to be something more and thus fails. Nevertheless you are certainly going to get your action, testosterone and pretty graphics. Plot: The legend and first adventure of the cuddly, Spaniard Puss in Boots. He sets out with Humpty Dumpty in search of the Golden Eggs at the top of Jack and Jill’s beanstalk. Background: A blatant cash-in spin-off from the Shrek series. Pros: Funny for the first 20 mins (the bar scene) - expensive animation - they get their moneys-worth of cat jokes and they do mostly work - exotic Spanish score by a Zimmer knock-off. Cons: The other main character Humpty Dumpty is disturbing to look at, not funny and uninteresting - the jokes get old fast - just feels like zero effort was put into the script. Summary: This should have been a short in front of another Dreamworks film. It’s a funny concept but there’s not much else to sustain a full film. 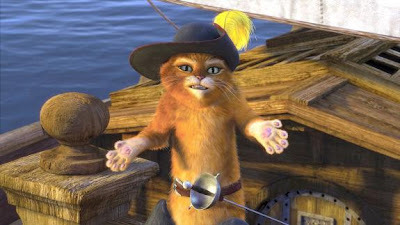 The genius of the first 2 Shrek films was the one-off side characters, but in this movie Puss and Humpty leave town for an adventure and there are therefore no more funny characters to meet them. Still great for very young kids.